Here you go—click up top for a great conversation between effervescence-in-human-form Kristy Glass and entrepreneur-knitter-quick-thinker Shelley Brander, the founder of Knit Stars, the online seminar for knitters that will premiere its third season on November 22. Shelley has such a great story about how she came to create Knit Stars, the three-week extravaganza of classes to watch online. The final opportunity to register for Knit Stars 3.0 (aka the one where we’re teaching a class) is open now but closes at the end of day November 1. All the info for enrolling is available right here. We are so excited to be a part of this! It’s going to be a ton of fun. What is this three-week party? It’s a virtual knitting experience unlike anything we’ve seen. Knit Stars makes it possible for knitters everywhere to join a three-week online adventure in learning and inspiration. It premieres on November 22. It’s three weeks of online classes (every other day) with 12 teachers and designers who are working at the top of their game. All available to you without the need to travel, without the expense of a hotel—but with in-depth teaching and yarns and live chats that will make for a rich experience of learning and inspiration. Basically, it’s a delicious knitting retreat that you will enjoy in the comfort of your own home. Having watched the previous seasons, we promise you that these are rich, immersive classes that provide a unique view of each teacher’s world and point of view. We’ve been daily knitters for two decades each. We’ve been asked many variations on this question: how do you keep your enthusiasm for knitting so high? Why is knitting such a constant source of happiness for you? For us, knitting is an ever-expanding journey of joy. That sounds corny, but it is the absolute truth. We’ll share just about everything we can think of that will help you think about your knitting in new and inspiring ways. And bust a few myths that need busting! It’s a gang of talented teachers and designers we admire so much. 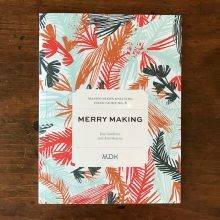 We’ve published their patterns here at MDK. We’ve reviewed their brilliant books. We’ve knitted their patterns. And they’re all people we want to learn from ourselves, so we’ll be tuning in as closely as you will. Knit Stars unfolds over a three-week period. 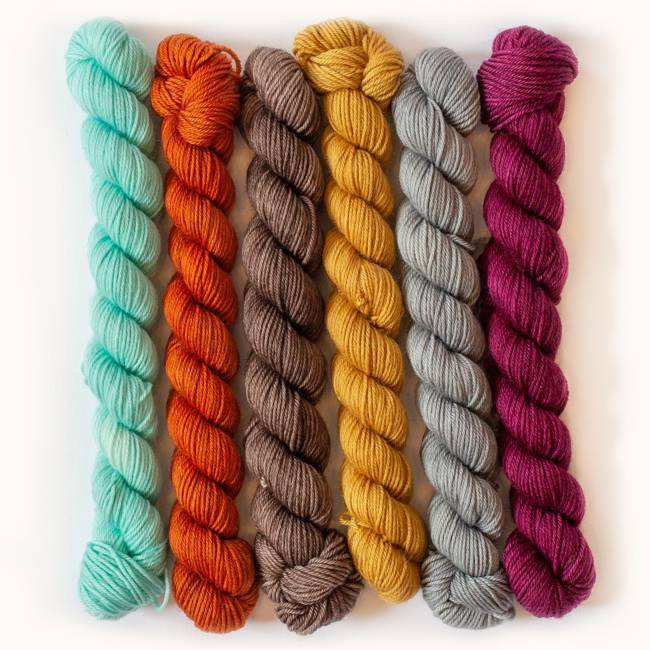 Every other day, a new class will appear on the Knit Stars site, where you’ll be enrolled. You’ll be able to watch classes on your computer, your phone, your iPad—at any time of the day. You’ll have access to the classes and resources (including patterns and information downloads) forever, so you can return anytime to watch them. It’s immersive, and addicting, and fun. You’ll find all the details on enrollment by clicking here. Absolutely. And totally optional if you’re full up on yarn. When you enroll for Knit Stars, you’ll have access to a special online shop featuring special Knit-Stars-only kits. 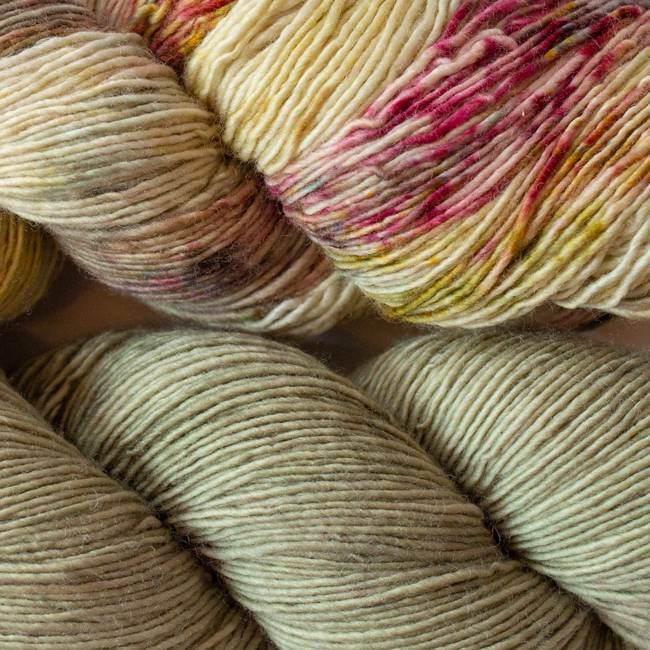 We worked with some of our favorite dyers—Freia Fine Fibers, Canon Hand Dyes, and Lichen and Lace—to create colors available only to Knit Stars enrollees. 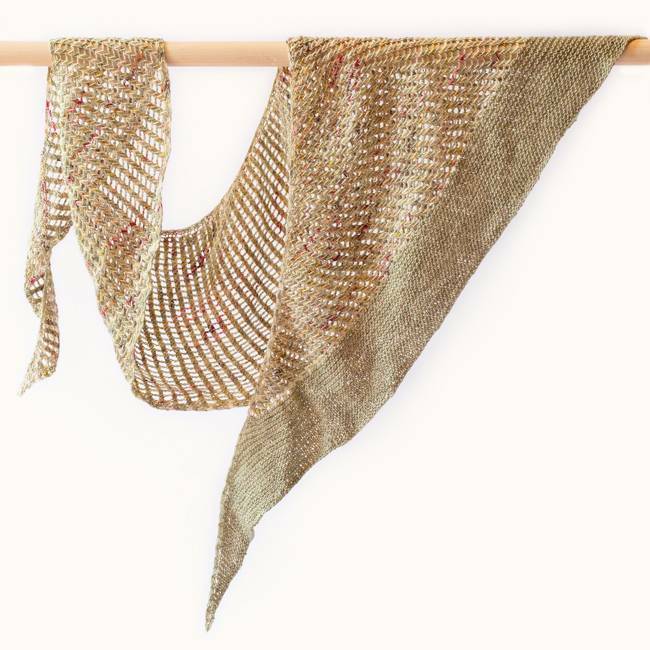 A unique colorway of Freia Fine Fibers Shawl Balls for Cecelia Campochiaro’s Parallelogram Scarf from MDK Field Guide No. 5: Sequences. 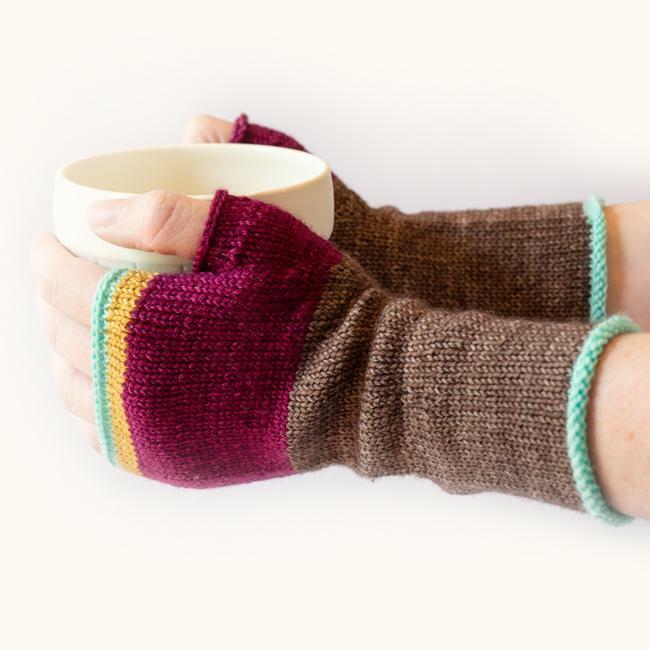 Ann Weaver’s Squad Mitts from MDK Field Guide No. 1: Stripes. 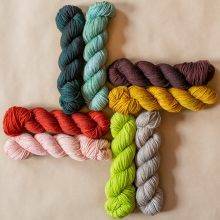 The Knit Stars exclusive colorway yarn is Canon Hand Dyes Mini Skeins. 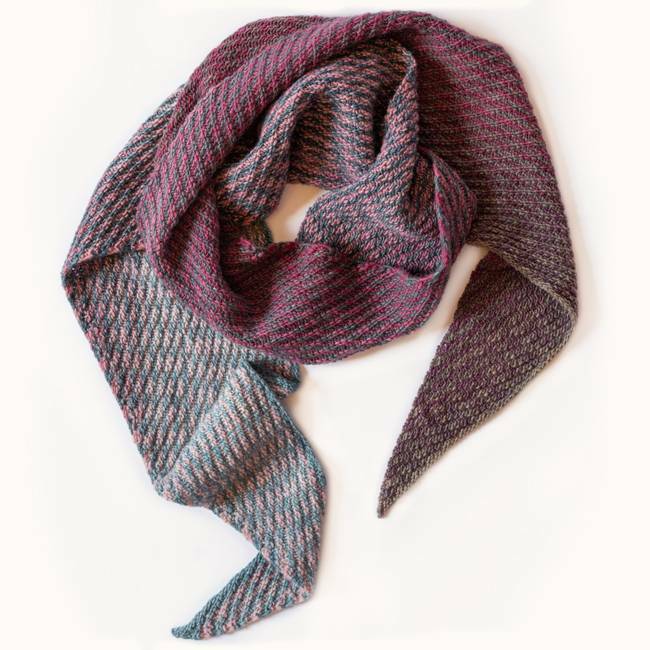 Kirsten Kapur’s Colorwash Scarf from MDK Field Guide No. 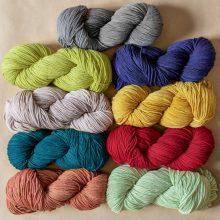 3: Wild Yarns. 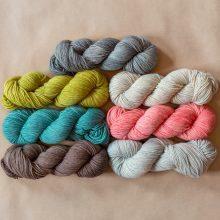 The Knit stars exclusive colorway yarn is Lichen and Lace Merino Single. We’ve never taught an online class of any kind. A top-quality online class takes vision, and a village of talented people. It takes a deep understanding of both the subject matter and of video storytelling. When we met Shelley Brander, and saw what she and her team have done with Knit Stars, we were thrilled to be a part of it. Knit Stars is something special: beautiful to watch, with terrific production values, so this is a really big deal for us. We could not be more wound up! We hope you’ll join us. PS Here’s the link for enrolling. Registration closes at the end of day November 1. And the series premieres on November 22, just as you finish your Thanksgiving turkey and are ready for a wonderful experience of laughing, learning, and knitting. 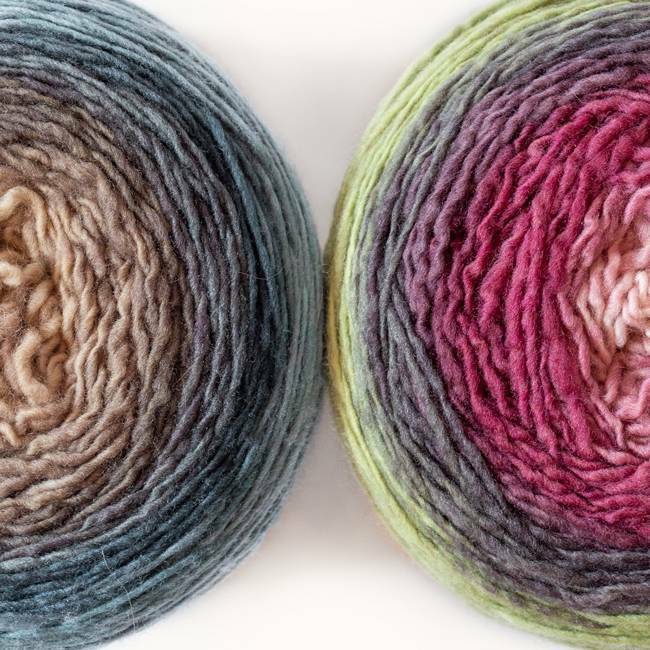 The path to knitting happiness? Keep knitting! I’m so excited for Knit Stars. Your daily emails already support and inspire our creative spirits. Your segment is going to be wonderful. Knit Stars will see us through the gray chill days. I’m still thinking and have shared with others how you built a community to all knit for Tia Coleman when there was nothing else to do. Our city is reeling today from yesterday’s horrific hateful tragedy. A woman shot, in the hospital after surgery but her mother in her 90s shot and killed. Wondering how to begin to offer comfort through knitting. Maybe a healing shawl. There are no words. So heartbreaking. I’m trying to think about all the people who were heroes yesterday, who ran toward the danger, who helped. Ann, the folks at NPR are thinking the same thoughts. As part of their piece this morning, they played that clip of Mr. Rogers “Look for the helpers.” The shooting happened in his neighborhood in Pittsburgh. What a great Sunday morning treat . I so much enjoyed this video and learning about how Knit Stars got started. Shelley, you are amazing and so enthusiastic about the art, your addicting. wish you were here in New Jersey!! Oh Ann, good luck with your surgery. Here’s hoping that you’ll be mended up soon! I had spine surgery two years ago…one of my legs had gone numb…fast forward to today I’m fine and pain free…complete sensation restored in my leg…pretty quickly after the surgery. It’s a long healing process…but there are good outcomes. Wishing you the very best for a speedy return to the needles. Thank you for posting your experience. I’m having spine surgery on Dec. 7th for pain and leg numbness. It’s a scary thought but your post gives me hope for a positive outcome following my surgery. Unrelated, but a question for you: I didn’t see Julia Hilbrandt at Rhinebeck this year. 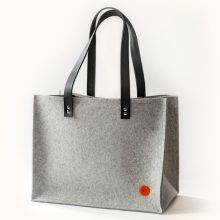 Is she still making Felted bags? She was there, definitely. Lots of dots and flowers on her latest bags, very interesting to see. Thank you for this link! I didn’t intend to watch the whole thing, but I couldn’t stop myself….and I found myself smiling the entire way through! I want to start using knitting to help with my despair over the events that seem to be happening all over. 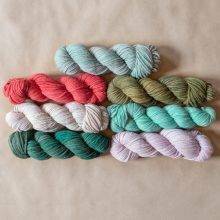 I thought I might try the Ann Weavers Squad Mitts pattern, but how can I purchase the Canon Hand Dyes Mini Skeins? I purchased 2 yarn sets as part of Knit Stars 3. But I seem to have lost my receipt with Field Guidds. Any help appreciated. I’ll forward this to our ecommerce maven, Liz Olson. You should hear from her this week. All registered and so excited! I enrolled in this series a couple of months ago, when there was a special offer. How do I access it? Looking looking, with notluck! !